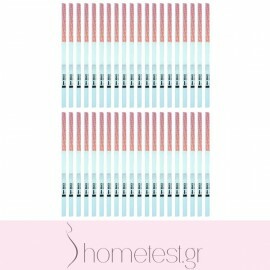 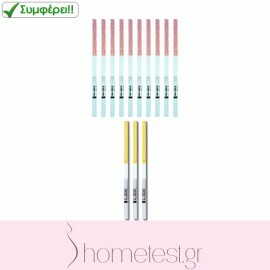 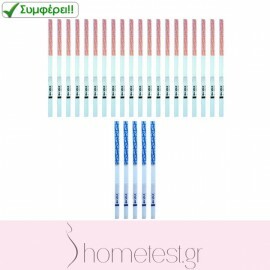 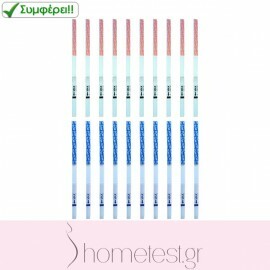 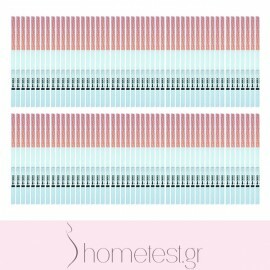 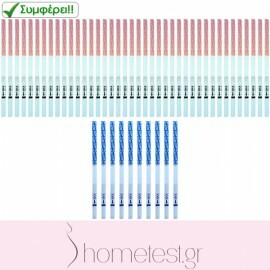 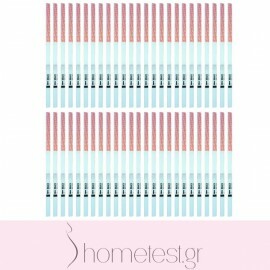 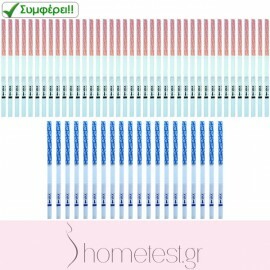 HomeTest ovulation (LH) test strips. 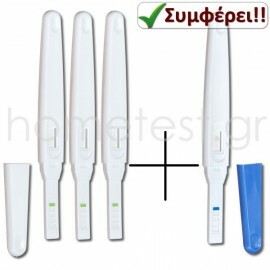 Cost per test: 0.80 €. 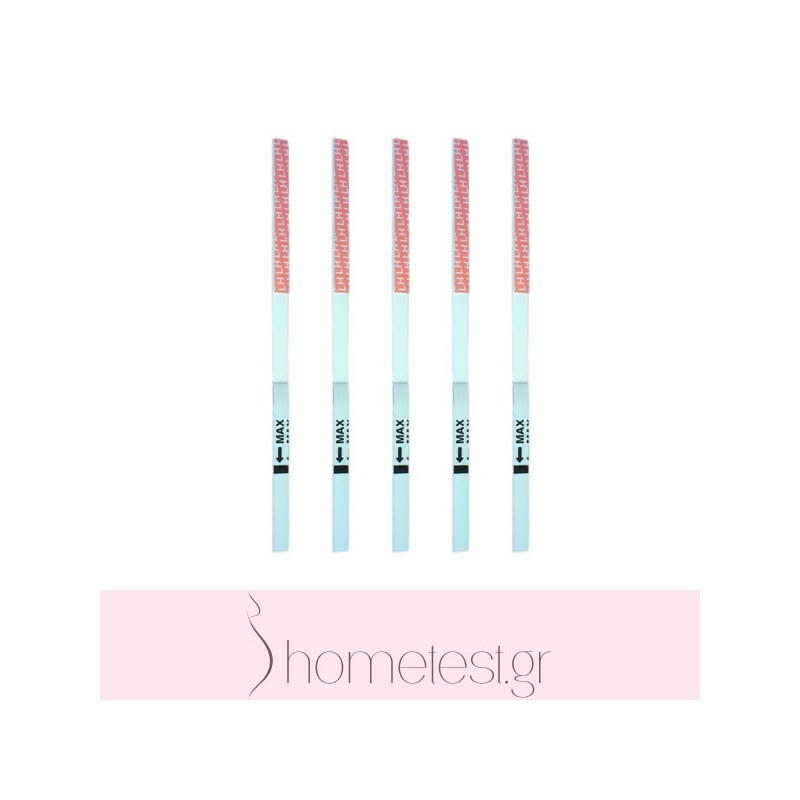 HomeTest ovulation strip-style tests detect elevated levels of luteinizing hormone (LH) in urine. 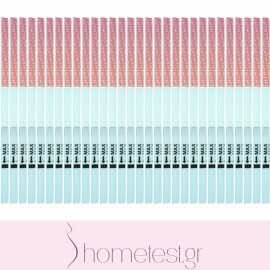 The increase of the hormone LH takes place before the actual ovulation and triggers it within 24 - 48 hours. 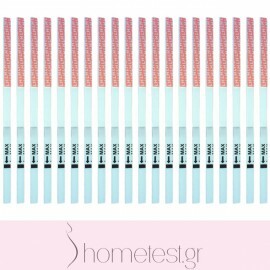 After ovulation, the egg can only survive for 24 hours (or less) once released, while sperm survives a few days in a healthy body. 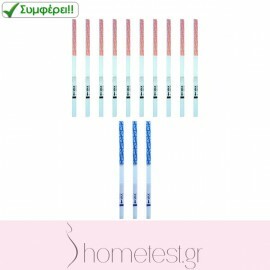 The HomeTest ovulation strips tests DO NOT require any other device to operate - they are used "as is". 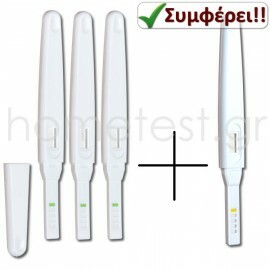 They are one step tests, which means they produce the result rapidly, approximately in 40 seconds. 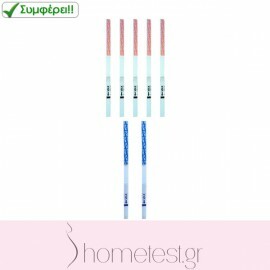 Order Assistant: This specific package contains 5 ovulation tests. 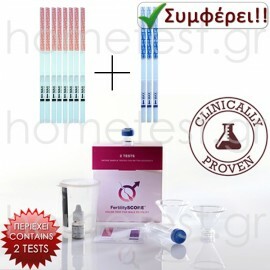 If your cycle does not flauctuate at all or it fluctuates by 1-2 days, then this package will last you for 1 cycle.